Why should coloring book fans have all the fun? 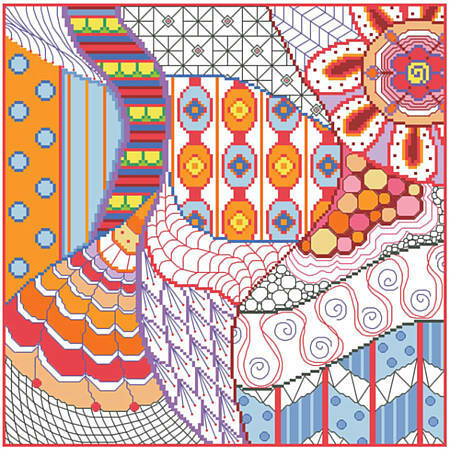 Artists of all backgrounds will love seeing the world through a doodler's eyes thanks to Linda Gillum's Dazzling doodle collection for cross stitch. This design is filled with whimsical borders, flowers, mandalas, and unique patterns and shapes. Collect all six! Contents: Stitch count 150w X 150h, finished size on 14-count fabric 10-5/8" X 10-5/8"